My previous Track-by-Track entry was June 23, before a summer dominated by producing and appearing in a Stephen Sondheim revue. Diving deep into Sondheim isn’t conducive to patience with lesser songwriters, and Springsteen at the beginning of his career was still developing a craft. His meter and rhyme scheme were sloppy, while his imagery and vocal delivery owed more to Bob Dylan than he was willing to admit. Lost in The Flood frequently appears on “best-of” lists by Springsteen fans, probably because it presages the clichéd cinematic imagery of Jungleland; that song is saved by magnificent musicianship. 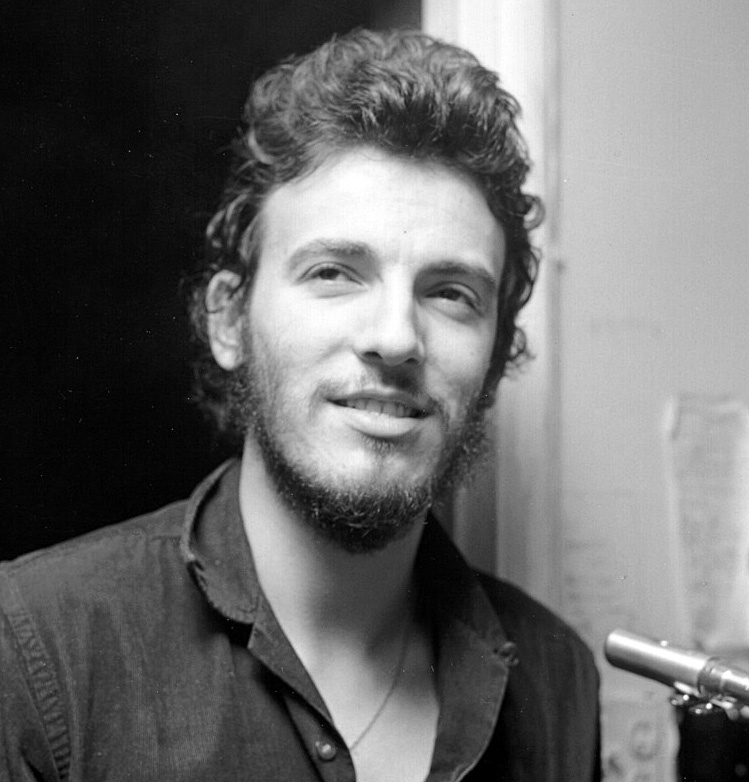 Unfortunately, in 1972 Springsteen wasn’t yet working with collaborators who could muscle out his grandiose visions, and his producers (Mike Appel and Jim Cretecos) weren’t much help. We presume this character is a returning Vietnam veteran. “He must be from the fort…” is one of Springsteen’s best lines; we picture the girls whispering to each other as the soldier passes, while he pretends not to hear. Perhaps the song is about this soldier, returning to a country he feels alienated from. Unfortunately, Springsteen doesn’t limit the scope. In early interviews, he sometimes mentioned that Lost in the Flood was at least partly about the Asbury Park riots of 1970. During the week following July 4, 1970, riots broke out on the West Side of Asbury Park, NJ, resulting in over $4 million in property damage, 167 arrests, 165 injured (including 15 police) and leaving many families homeless. Some of those families, and presumably some of the rioters, were given temporary housing in area churches. Springsteen wasn’t finished. The first verse ends with the ragamuffin gunner apparently lost in a drug trip. This suggests the preceding lines are all fragments of the same trip, but again Springsteen keeps widening the song’s (or maybe the trip’s) scope. The second verse is about a stock car racer who might be the same character from the first verse; the racer might or might not floor the accelerator and shrink to a point on the horizon; he might or might not be dead at the end of the verse. Springsteen’s use of the word “junk” suggests the slang translation of cocaine/heroin (as opposed to the more common modern use of the term for genitalia.) Springsteen might be saying that drugs are more than just an individual flood; scattered as far as one can see, they threaten the entire country. But maybe not – it’s unclear what any sense of the word junk might have in common with “a real highwayman’s farewell.” And the characterization is muddled: although the image of a “dull-eyed and empty-faced” man squares with the silent gunner from the first verse, it doesn’t jibe with someone who tells “racing stories” and inspires kids to bestow an affectionate nickname. Here, Springsteen’s imagination seems to flag; his rhyme of “loaded to blastin’ point”/“disappears into a point” is dead on arrival. Other awkward phrases: “They’re breakin’ beams and crosses with a spastic’s reelin’ perfection” (verse 1); “Some storefront incarnation of Maria, she’s puttin’ on me the stare” (verse 3). These hurt because there are so many good couplets: “He lays on the street holding his leg screaming something in Spanish/Still breathing when I walked away” (although that “away” is once again rhymed with itself.) It’s like 80% was as far as Springsteen was willing to go with the song; for the price of a rhyming dictionary and another couple of hours he might have worked out some real gonzo poetry. I wonder what they were getting’ into, or were they just lost in the flood? David Sancious’ organ work is reminiscent of The Doors’ instrumentation, further reinforcing the “drug trip” angle. Steven Van Zandt’s sole contribution was dropping an amplifier to simulate the sound of thunder that opens the piece (again recalling The Doors – check out the beginning of Riders on the Storm.) Strangely, the song ends mid-bar, just as the band seems to be engaging. If this effect was intentional, it might have been orchestrated more deliberately. Springsteen released a live version of Lost in the Flood in 2001, on the Live in New York City album. On that recording, the E Street Band revises and enlivens the accompaniment, bringing a Scorsese-esque production to the material that’s thrilling despite the adolescent songwriting. It’s a great example of how the band can elevate Springsteen’s “B” material to “A”.